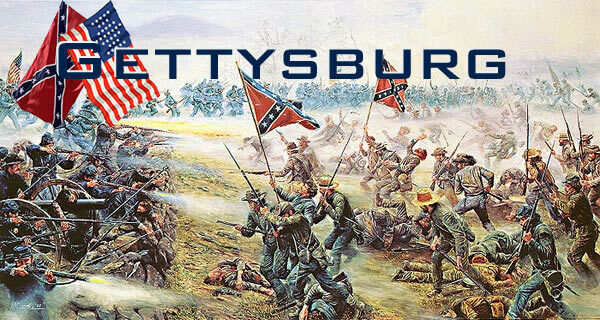 Want to review Gettysburg? | AMERICAN HISTORY RULES! ← In class February 23/24 – Should the US have been an imperial nation? I hope you enjoyed your “visit” to Gettysburg today, young historians – we will do the real visit on April 26! To review what you learned today, check out some of the cool sites below – there is a ton online about Gettysburg! You should also complete the battle of Vicksburg in your “Battles I Gotta Know” notes. It was a long drawn out siege, and you can find out all about it on the Civil War Battles site. You can also check out the post and videos and pictures from my trip to Vicksburg a few years back – it’s a cool place with many awesome monuments, including the one to Wisconsin (Old Abe sits up top).